In November of 2017, Pastor Roosevelt Touissant was hearing the same prayer, over and over, from his congregants: “I pray that our president lets me stay in the US.” Pastor Touissant leads the Word of Life Church in Salisbury, MD, a small city on the Chesapeake Bay where as many as 15,000 Haitian immigrants live and work. 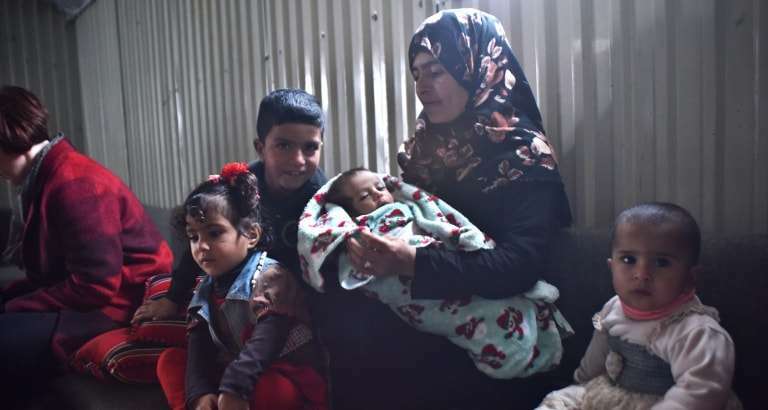 Many have lived in this region for five, even ten years, first coming to work at the local meat factories but eventually settling down to raise a family. Pastor Touissant knows this reality all too well. Like many of his congregants, he also worked at a meat factory for many years after arriving in the US in the early 1990s. Yet in late November, a panic swept across this community as President Trump rescinded a special legal program known as Temporary Protected Status (TPS), which has long prevented certain Haitian immigrants from being deported. That program began in 2010 in an effort by the US government to help Haiti recover from the earthquake. TPS promised Haitians who had arrived in the US before 2010 that they would not be returned to Haiti until the conditions improved. Yet with poor infrastructure and a subsequent Cholera epidemic, the conditions in Haiti hardly improved, leading this “temporary” status to persist today. Now, after the Administration’s decision, as many as 2,000 Haitians in Salisbury may risk deportation back to Haiti. In times of fear, misinformation spreads rapidly. Libraries Without Borders began working with Pastor Touissant at the Word of Life Church and the legal service organization Mid-Shore Pro Bono to design a program that would help congregants access reliable legal information and stem pernicious rumors about deportations. The Legal Literacy Initiative in Salisbury launched in May of 2018 as Libraries Without Borders trained local students and community leaders to conduct workshops on digital literacy and legal education every Saturday at the church. Despite the plethora of reliable information online from veritable non-profits and government agencies, many members of the community lacked the digital skills to use an internet browser and sort through the advertisemens and fake results that might pop up on an initial search. 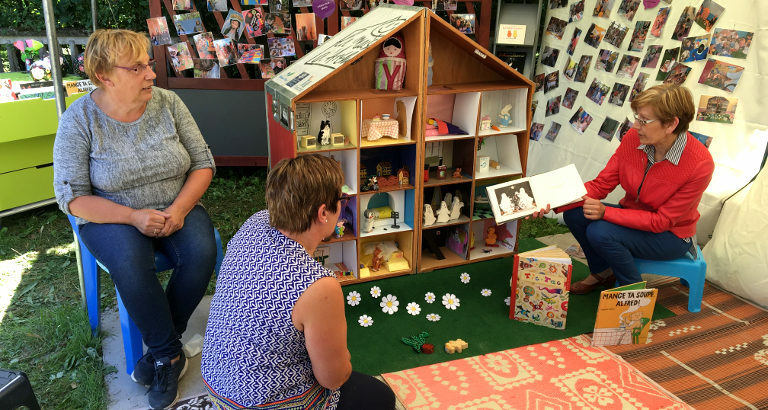 These workshops took place weekly throughout the summer and engaged an average of 12 individuals per week. 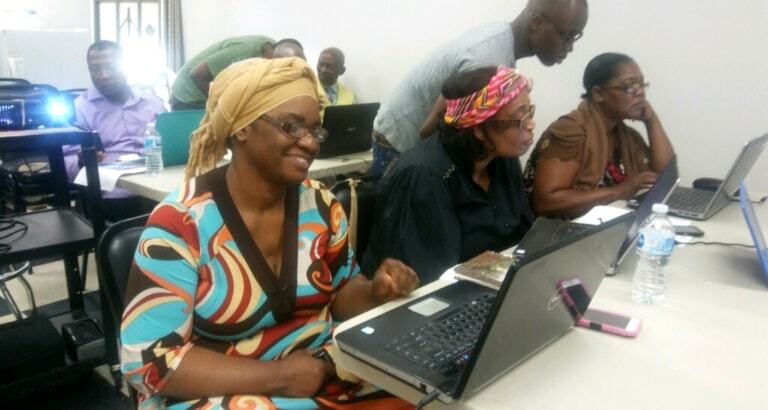 Many participants wanted to practice for the US citizenship exam but were unaware that the test prep materials are available for free online and with Haitian Creole translations. Through the digital literacy component, participants learned how to go online and access these resources from reliable sources. By the fourth week, the workshops had turned into ad hoc classrooms, as friends grouped together to study the citizenship questions that they found online. 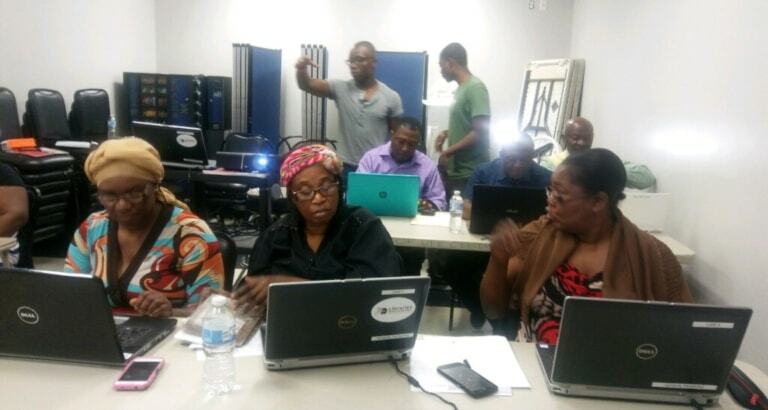 These workshops culminated in a legal clinic, held on June 15, where more than 40 members of the Haitian community – most of them program participants – consulted with immigration attorneys. Meanwhile, the students and church leaders who ran the workshops have taken their digital and legal skills into the community, helping their other friends and neighbors find reliable information online. This program was made possible through the support of the Community Foundation of the Eastern Shore. For more information about TPS, check out this article !